January is National Glaucoma Awareness Month. Glaucoma, a silent eye disease, is the most common form of irreversible blindness in the world. It is actually a group of diseases that causes progressive damage to the optic nerve. Glaucoma is a progressive eye disease that can lead to permanent vision loss if not controlled. There is currently no cure for glaucoma, but there are many treatments available for stopping and slowing the progressive damage to the eye. Treatment, however, can’t reverse damage that is already done. Glaucoma affects the optic nerve which sends visual information from your eye to your brain. Glaucoma is called the “Thief Sneak of Sight” because there are often no symptoms in the early stages such as pain or “pressure sensation” as one may expect, and by the time it is diagnosed there may already be permanent vision loss. When vision loss occurs, peripheral vision is typically affected before central vision. As a result, glaucoma is a major public health issue because individuals usually do not notice any problem with vision until end stages of the disease when there is severe and irreversible vision loss. Awareness and regular eye exams are key to early detection and preventing vision loss. Chronic (open angle) glaucoma occurs when pressure builds up over time, usually as a result of aging. This is the most common type of glaucoma. Acute (angle closure) glaucoma is an acute condition where pressure builds up suddenly and demands immediate medical attention. Symptoms include blurred vision, eye pain, headaches, seeing halos around lights, nausea and vomiting. Secondary glaucoma results from another eye disease, condition or a trauma to the eye. Normal tension glaucoma is when there is no build up of pressure but the optic nerve is still damaged. We are still not yet sure what causes this type of glaucoma. 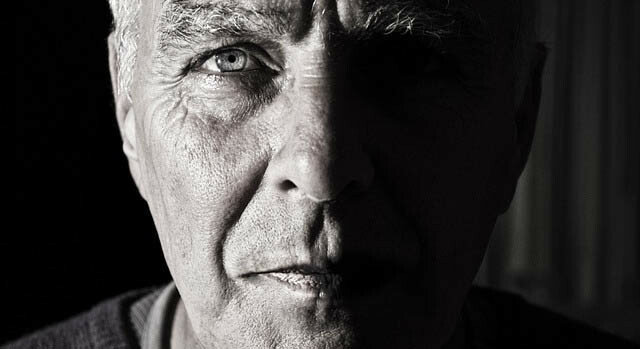 Who is at Risk for Glaucoma? Everyone is at risk of glaucoma however there are certain factors which increase the likelihood of developing the condition. Vision loss from glaucoma can be greatly reduced when detected and treated early which is why knowing your risk factors can play a tremendous role in prevention. Age is one of the biggest risk factors, as your chances of developing glaucoma increase significantly after the age of 40. In fact people over 60 years old are six times more likely to get the condition. Individuals from African American, Hispanic, Asian and Native American or Aboriginal Canadian descent are at increased risk. Family history is a very strong factor as the condition occurs twice as much in people with close relatives who have had glaucoma. Eye injuries, traumas or surgeries have been known to sometimes cause secondary glaucoma which can happen immediately after the injury or procedure, or even years later. Even childhood injuries can result in secondary glaucoma later in life. Studies show that prolonged steroid use is linked to increased elevated intraocular pressure which increases the risk of open-angle glaucoma. Certain medical and eye conditions such as diabetes, hypertension and high myopia (nearsightedness) also increase a person’s risk of developing glaucoma. While there is no cure for glaucoma, there are treatments to slow down the progression of the disease including eye drop medications, iridotomies, iridectomies, laser procedures and surgeries. Other than taking care of any underlying conditions that may increase the risk of developing glaucoma, there is little one can do in the way of prevention. You can however reduce your chances of suffering vision loss. The first step is knowing the risk factors and signs of the condition (even though as mentioned most cases have no symptoms in the early stages, until vision is already lost). The best possible way to prevent vision loss is to have regular comprehensive eye exams to check the health of your eyes and if your eye doctors prescribes medication for glaucoma, make sure to diligently take them as directed. Your eye doctor will be able to conduct certain tests to detect eye diseases such as glaucoma before you even begin to notice symptoms. If you have any of the risk factors above, mention it to your eye doctor, and always be sure to schedule a yearly eye exam, or as often as your eye doctor recommends, to check the health of your eyes and rule out any underlying or developing eye conditions like glaucoma.